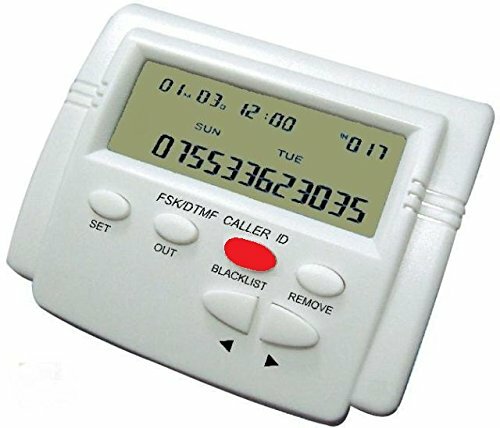 The CID Incoming Call Blocker w/ LCD Display is designed to block all unwanted calls from telemarketers, solicitors, credit card companies, political calls or any other type of unwanted callers. This device is capable of blocking up to 1500 different numbers including numbers up to 16 digits. It includes an LCD display that displays the caller ID, date, time, and number of calls on the device. The CID Incoming Call Blocker is fitted with a “Set” “Out” “Remove”, and “Blacklist” buttons on the device for easy call blocking. The LCD display comes with 4 different levels of brightness for easier visibility in low lighting, as well as being easily either desktop or wall mounted. If the power is disconnected from this device it will still remember the previous blocked calls recorded on the device due to the EEPROM technology installed in the CID Call Blocker. This device also includes a one year warty if purchased through HQTELECOM. Can block numbers up to 16 digits. LCD screen has 4 levels of brightness allowing for easier visibility in low lighting. Simple one click of a button call blocking. Works World wide with Comcast, MagicJack, and Vonage. Customer reports that the device did little or nothing to stop incoming calls. Occasionally when the device is plugged into a system different than Comcast, MagicJack, or Vonage the device would cause problems when trying to receive calls on the phone. Some devices when received after shipping do not work or work poorly. The CID Incoming Call Blocker w/ LCD Display is a very effective call blocker, capable of ridding customers from pesky spam calls. This device is capable of blocking up to 1500 different numbers, with up to 16 digits. With the ability to record up to 100 incoming calls and 50 outgoing calls this device allows customers to maneuver throughout the device and block calls as needed. The device’s LCD display monitor has 4 different levels of brightness that allows the customer to see the display in poor lighting. Although there are many goo things about this device customers have had problems with different aspects of the call blocking features. There have been customer reports that this device did virtually nothing to stop unwanted calls. The device was not working or some features of the device were not working including the display of the caller ID or date and time. Most of all that this device had difficulty working with a system different than Comcast, MagicJack, or Vonage. 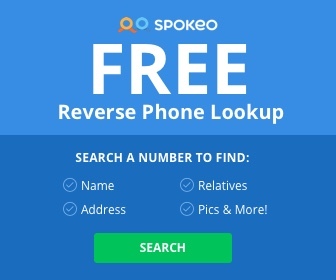 This device is recommended for businesses or individuals wanting to rid themselves of those annoying spam calls.